Wooh, what a day for flashing my unshaven yet slightly tanned legs! Honestly, it was probably the last day of the year I could, so I'm glad I did. Today I reunited with the lovely Annie, who has just moved to London from Germany, and it was so nice to see her again. It's funny how her and I spoke a year ago in London about moving here, and now we both do. I feel privileged, challenged and happy being in this particular spot on earth. See some photos from our trip last year here! I think that that this soft tone of pink goes perfectly with your hair. You look stunning! I love this outfit so much! The bomber jacket is the perfect finishing touch! This outfit is perfect! Such amazing vintage pieces! You are so pretty! I love the way you are dressed and this baby pink is so cute! your outfit is amazing, i love the carefree vibe you give off in your photos and you look stunning. also, baby pink is a great color on you! 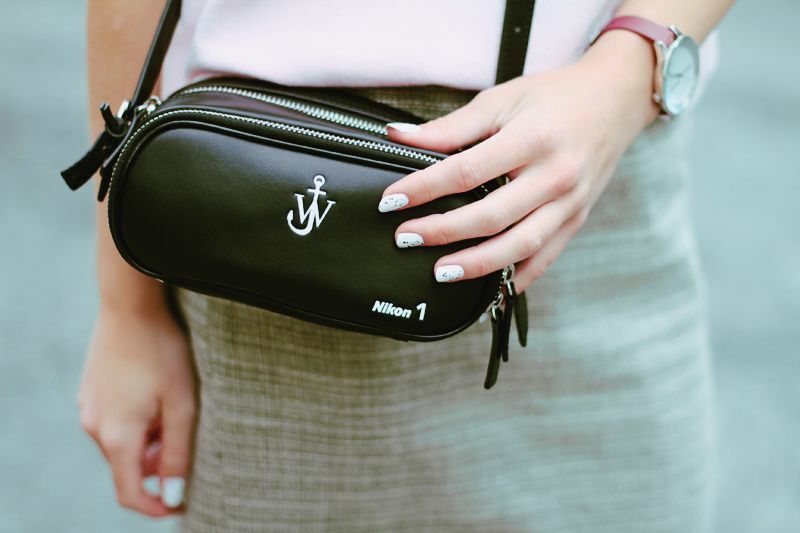 you are adorable and i love the jwanderson bag! these pictures are so good! Looks like you had fun taking these photos. love the 2nd and the 4th pics!! you look beautiful! These photos are so fun! I love this casual outfit! And the pictures taken by your friend Annie are amazing too!!!! 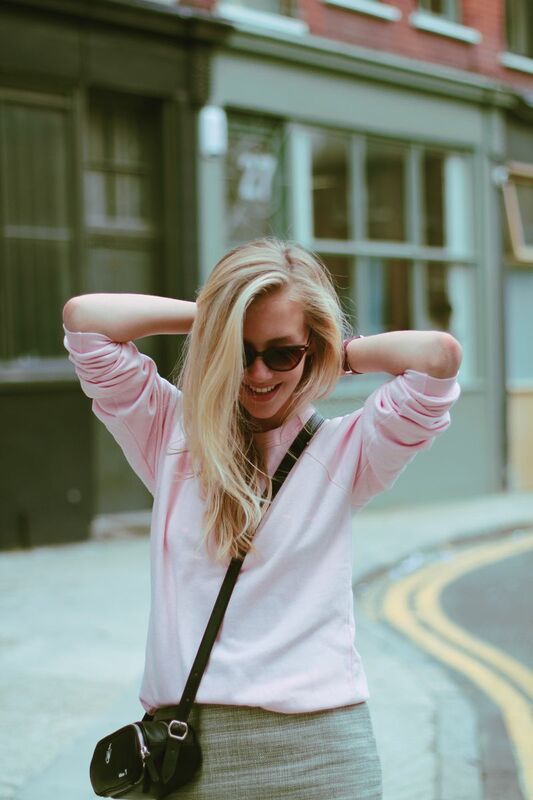 soo cute in this pink sweater!